We are nobody's fool though. For while some trees do look divine and heavenly, others seem to have sprung from hell itself. Think of the Suicide Forest in Japan, where dozens of people off themselves yearly. Or the Burkittsville Woods in Maryland, made notorious overnight by "The Blair Witch Project." So don't always take the goody forest for the trees. 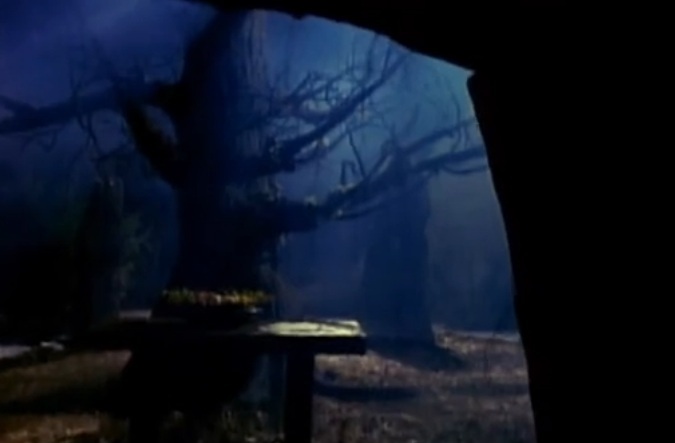 In no particular order, what follows are some of the scariest, creepiest trees to have come out of fiction and art. Our first entry comes from 2015's "The Last Witch Hunter." Its villain, the sublime ecoterrorist known as the Witch Queen, holds court in a ginormous tree that easily takes a leaf out of Polish artist Zdzislaw Beksinski's book. 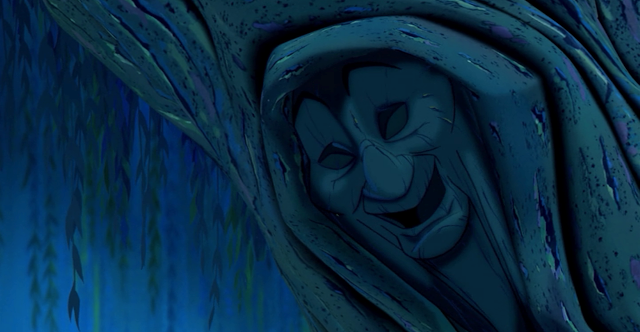 Admit it; you were scared as a child of Grandma Willow, the talking tree in Disney's "Pocahontas." Then again, there was nothing really childlike about this film, protracted kissing scenes and all. J.R.R. 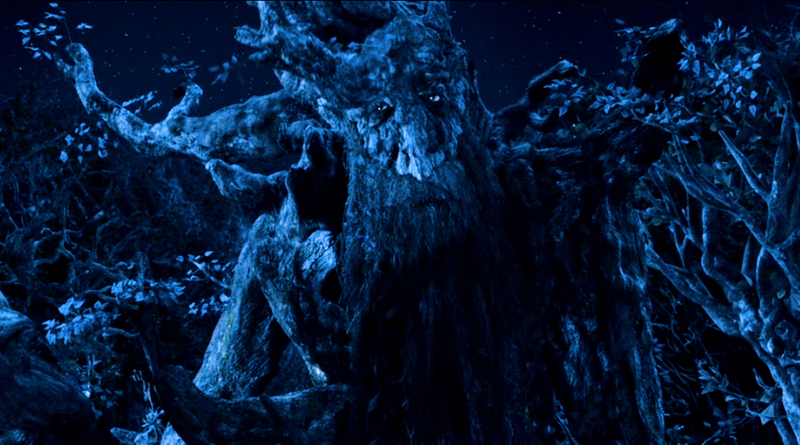 Tolkien takes anthropomorphic to the next level with the Ents, his so-called Shepherds of Trees. While they're really good guys, it's understandable that their first appearance in "The Lord of the Rings" movies would give you a good startle. 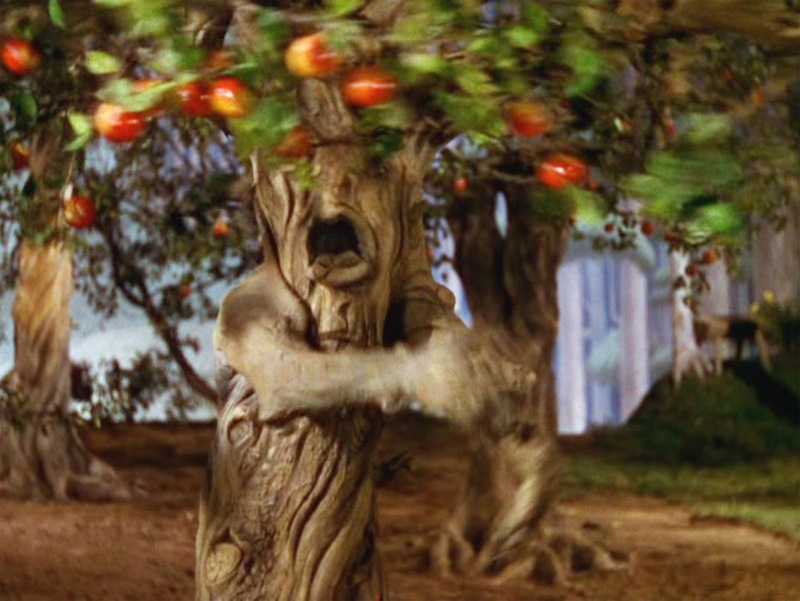 When you think about it, Dorothy narrowly escaped stoning by apples in "The Wizard of Oz." Caspar David Friedrich is known for his saturnine, sullen masterpieces, but this one is arguably the finest of the first order. 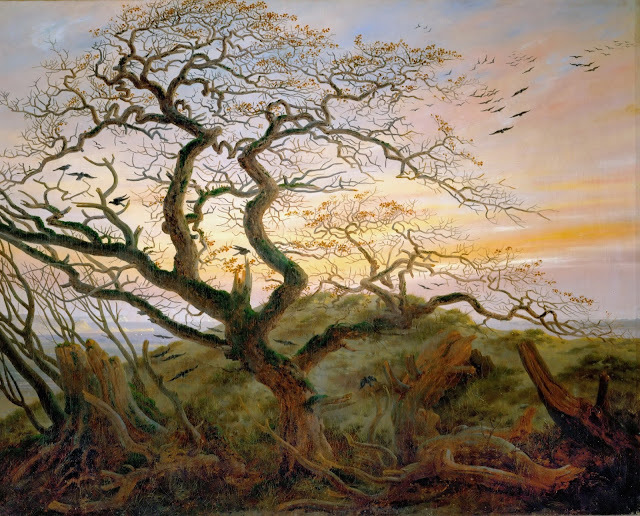 Now immortalized in the Louvre, "The Tree of Crows" has planted a creative seed across generations of artists — and no doubt spooked many. In many Southeast Asian countries, the banyan tree is something to be revered. Shift a few thousand miles, and the same tree takes on a more sinister repute. In the Philippines, the banyan tree, locally known as the balete, is said to house vengeful fairies and diabolic beings. It has been the subject of various Filipino movies, one of the most memorable being 2006's "T2," about a tenement that happens to have a banyan tree in its courtyard. 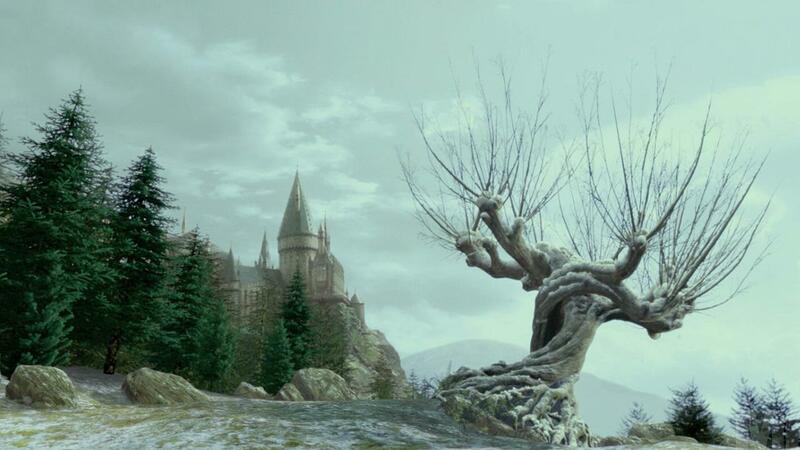 Hogwarts is probably the most dangerous school on earth. More than a few memes have called the school out for its many violations, from sheltering gigantic snakes under the bathroom to admitting snakelike wizards for enrollment. Another case in point: There's a willow in the yard that would gleefully bludgeon any student. 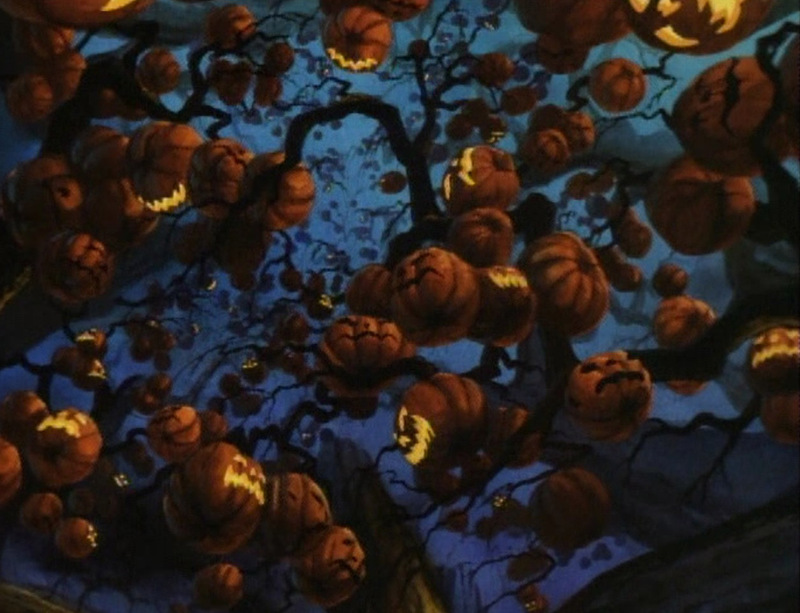 Pumpkins, much less jack-o'-lanterns, don't grow on trees, but they sure do in Ray Bradbury's "The Halloween Tree." In this novel as well as the Hanna-Barbera adaptation, a jack-o'-lantern-bearing tree basically allows kids to astral-project. Move over, Christmas Tree. 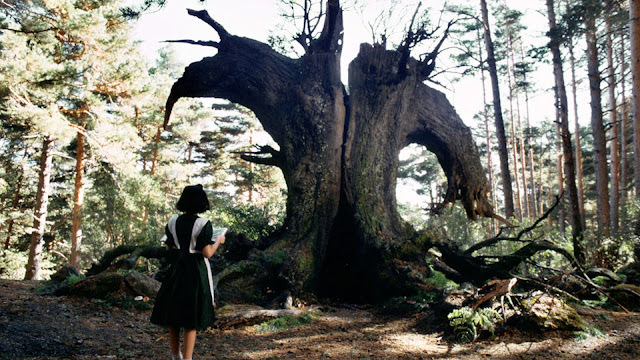 There are many disturbing images in Guillermo del Toro's groundbreaking "Pan's Labyrinth," and one of it is the sight of a gigantic frog taking slimy residence beneath a tree. Sure it eats insects, but you get this icky feeling it will devour little girls if it wants to. "Sailor Moon" cleaved its second season into two arcs, the first being about incestuous twins that invade the earth in a skyscraping tree, the Makaiju. 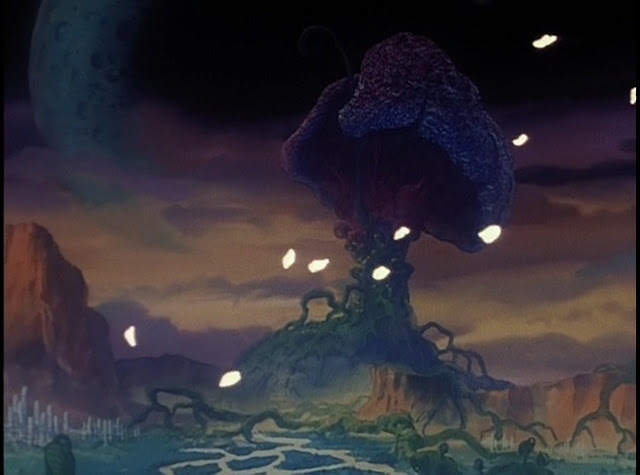 It really is the tree from outer space, and it wants energy, just not of the photosynthetic kind. One of the most nightmarish episodes of "Friday the 13th: The Series" involves a harem of Druid priestesses who pose as midwives in a fertility clinic. At the back of their clinic grows a freaky tree...with literally foreign roots. 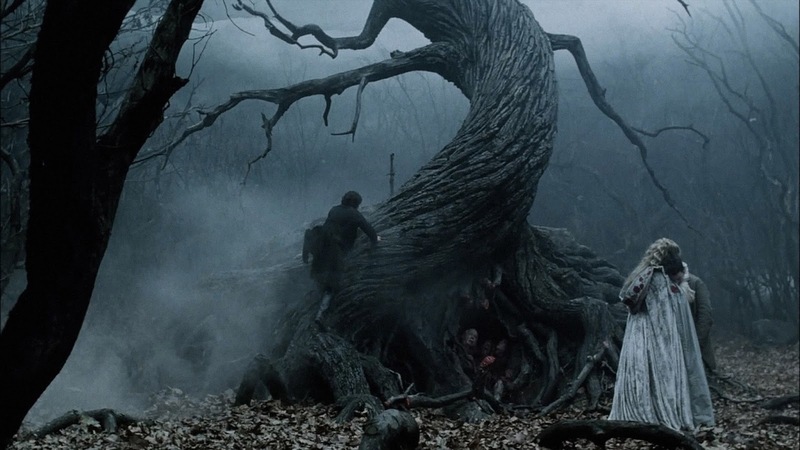 A trailblazer in art direction, Tim Burton's "Sleepy Hollow" has a menacing set piece in the Tree of the Dead, the Headless Horseman's gateway to the plutonian depths. The tree was as frightening in real life as onscreen, rising "50 horrifically misshapen feet" into the air. Satan on a tree — now what could be creepier than that?